In early February, 1865, 150 years ago this week, the Civil War was rapidly coming to a close. William Tecumseh Sherman’s March to the Sea had culminated in the capture of Savannah, Georgia in late December 1864. Fort Fisher had fallen in January 1865, closing the port of Wilmington to blockade runners. 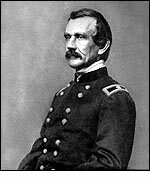 The troops from that expedition under Terry were to join another force under Schofield, brought east after the victories over john Bell Hood’s Army of Tennessee the previous December. 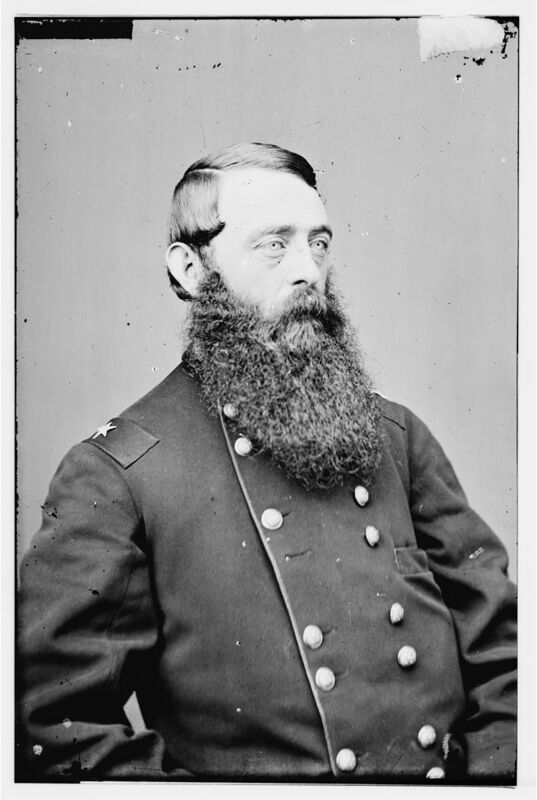 As Sherman moved north into the Carolinas and Schofield moved inland into North Carolina, Grant was determined to keep the pressure on Robert E. Lee’s Army of Northern Virginia defending Petersburg and Richmond. And in early February 1865, three Confederate peace commissioners met with Abraham Lincoln on the River Queen in the James River. After peace talks failed, Grant hoped to move quickly in the relatively good weather to take advantage of any demoralization word of the failed peace talks at the Hampton Roads conference might cause. 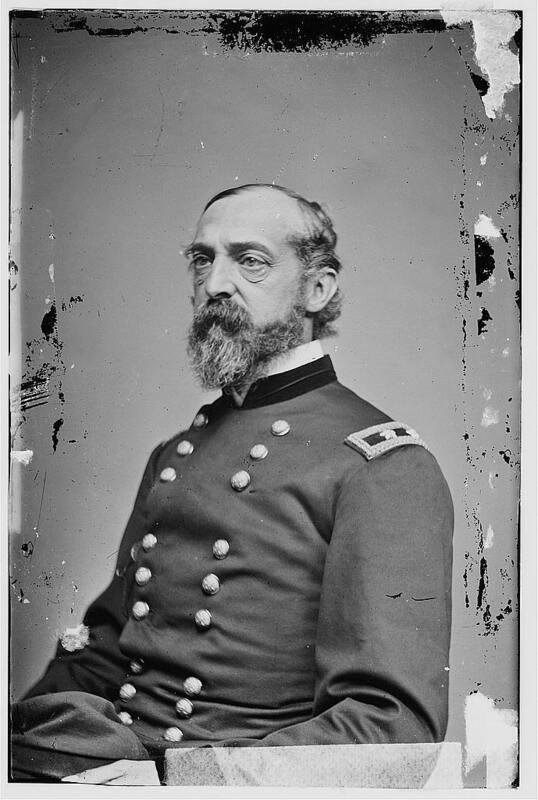 After recalling Army of the Potomac commander George Meade on the last day of January 1865 from leave and alerting the Army of the Potomac and Army of the James to be ready at a moment’s notice, Ulysses S. Grant looked for an opportunity to strike. He found what he thought was a good one on February 4, 1865. Belfield, now the northernmost point of the Weldon Railroad after Warren’s Stony Creek Raid in December 1864, was where the Confederates were unloading supplies into wagons. Those wagons made the trip to Dinwiddie Court House, and then northeast up the Boydton Plank Road into Petersburg. 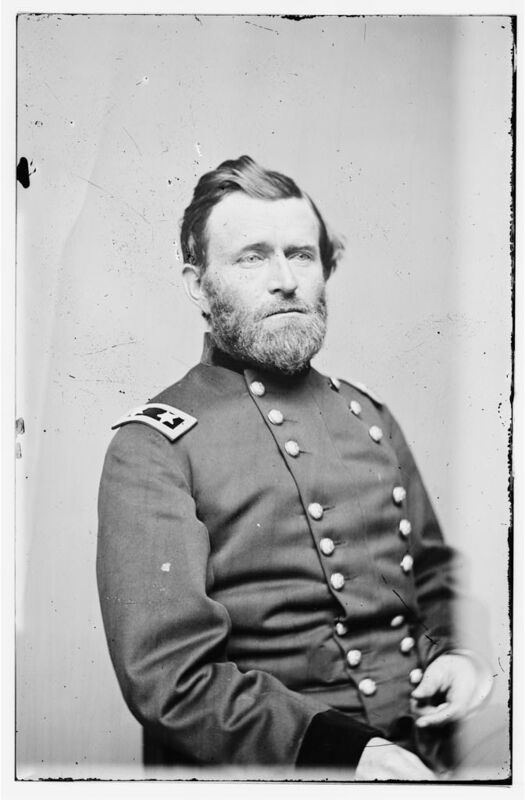 Grant had heard Butler’s Division of Rebel cavalry had left with Cavalry Corps commander Wade Hampton bound for North Carolina to help combat Sherman’s inexorable advance. This left only the cavalry division of W. H. F. Rooney Lee on the Army of Northern Virginia’s right flank, and they were known to be at Belfield because of a lack of forage nearer Petersburg. With the brief improvement in the winter weather, Grant thought he might send David McM. 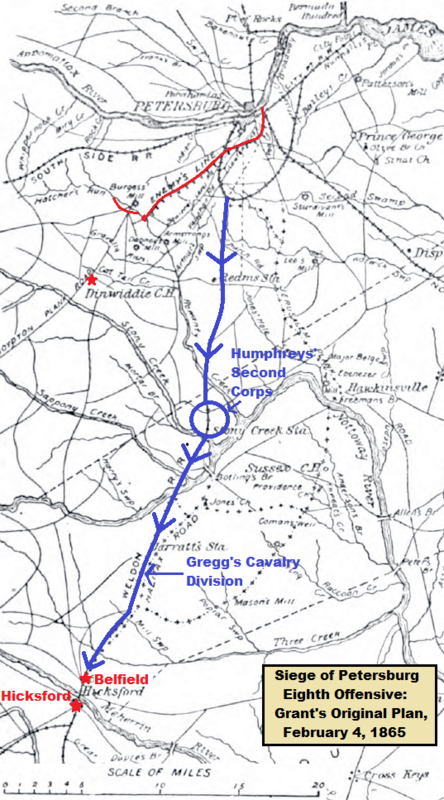 Gregg’s Second Division, Cavalry Corps, Army of the Potomac down the former line of the Weldon Railroad south to Belfield, capturing a bountiful haul of Confederate wagons and further exacerbating Robert E. Lee’s by now dire logistical situation. The Second Corps under Andrew A. Humphreys would move part of the way to Stony Creek Station, holding the crossing of Stony Creek and the Nottoway River there as a sort of safe haven for Gregg’s cavalry on their way back from the raid. The whole operation was planned for four days or so. 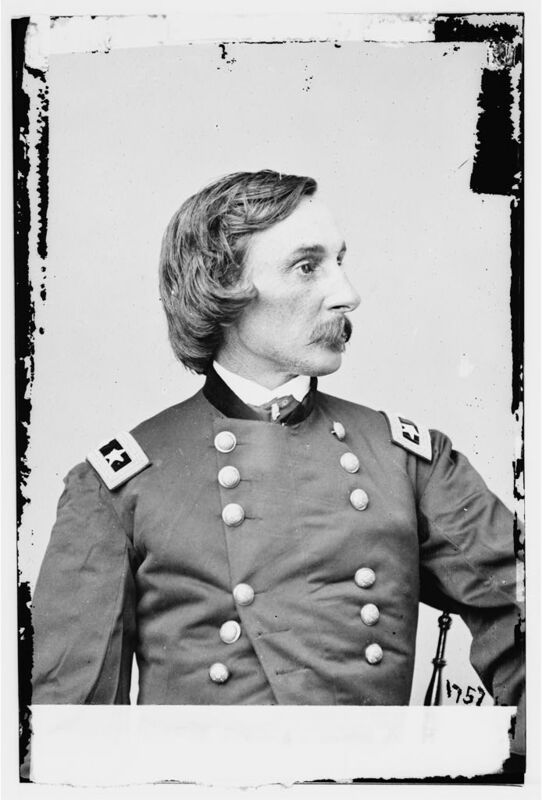 As soon as he read Grant’s dispatch on the afternoon of February 4, Meade had several suggested changes. First, he didn’t want to send the Second Corps, and he had a really good reason. The division of Nelson A. Miles was on the front lines holding forts facing Petersburg. Removing this division from the line would almost certainly attract the attention of the Confederates and alert them prematurely to the coming operation. Meade suggested instead that Warren’s Fifth Corps move instead to Stony Creek, and the two divisions of the Second Corps not on the front lines would go to Ream’s Station. This would allow Warren to support Gregg’s raid on Belfield, and Humphreys to support Warren. Meade had learned the hard way that the Confederates favorite maneuver was to slip into between Federal Corps’ as they moved out on these sorts of offensive thrusts, delivering devastating flanking attacks and capturing ridiculous numbers of Federal prisoners. He wanted a bridge from the Union left to Humphreys, a bridge from Humphreys to Warren, and bridge from Warren to Gregg. Brevet Major General Gregg, commanding Second Cavalry Division, has been ordered to start with his division from his present camp at 3 a. m. to-morrow, to proceed via Reams’ Station to the Boydton plank road, for the purpose of intercepting and capturing any of the enemy’s wagon trains carrying supplies from Belfield, and should an opportunity occur to inflict any injury on the enemy, to avail himself of it. To support the cavalry, Major-General Warren has been ordered to move his corps at 7 a. m. to a point designated as J. Hargrave’s house, on the road leading from Rowanty Post-Office to Dinwiddie Court-House. 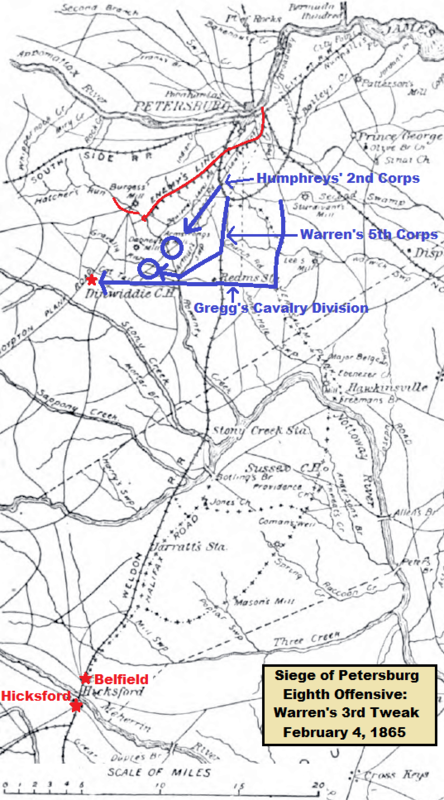 Major-General Humphreys has been directed to hold with two divisions of his corps the crossing of the Vaughan road over Hatcher’s Run and Armstrong’s Mills, keeping up communication with General Warren on his front and our lines in his rear. Gregg would get a head start on the infantry due to the extra distance he had to go, but the foot soldiers would have plenty of time to get to their supporting positions before Lee could react. After this circular, Meade issued more specific orders to each of the three principle subordinates involved in the operation, keeping each informed of the movements of the other two. Note that Gouverneur Warren suggested a slight tweak of his own to the Fifth Corps’ marching orders, asking to move down Halifax Road to Rowanty Post-Office, then to take the direct road to the crossing of Rowanty Creek at W. Perkins’. He reasoned that this route was shorter than going to Reams’ Station. Meade assented, leading to a third change to Grant’s original plan.